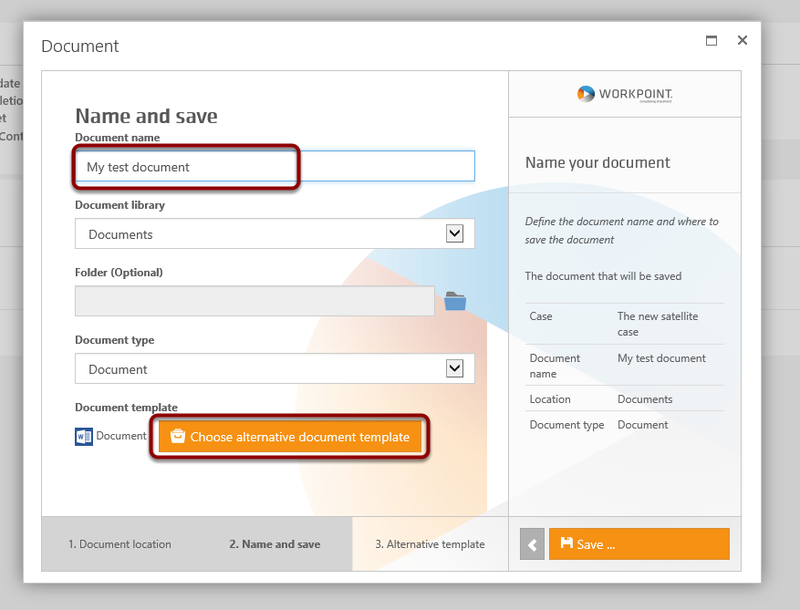 Setting up document templates in WorkPoint365 – Welcome! How can we help? 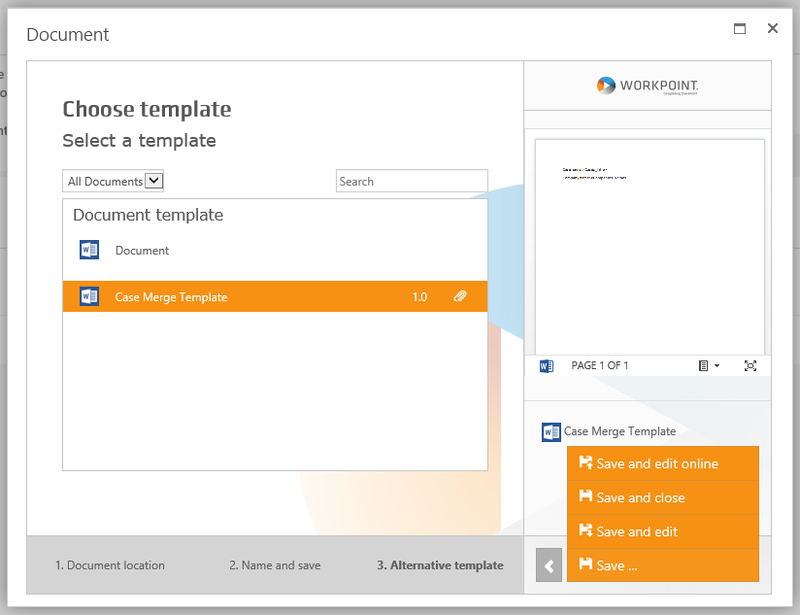 This article describes how to set up document templates in WorkPoint365 template library. This article deals with Word files. 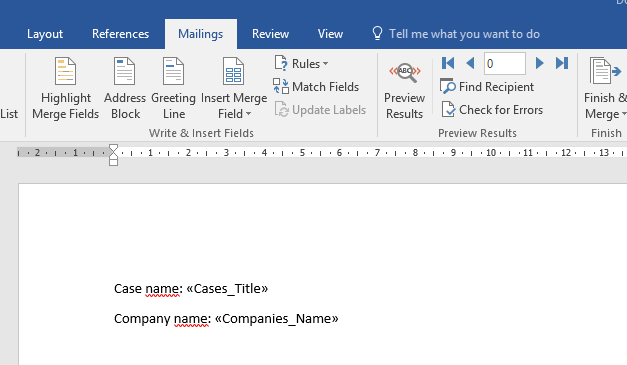 For working with Excel, please see the article on mail merge to Excel documents with WorkPoint365 templates. 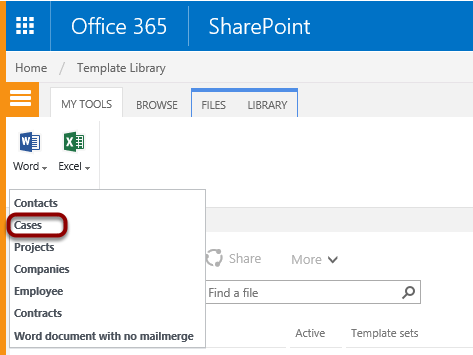 Enter the Template Library by clicking the icon on the WorkPoint365 home page. 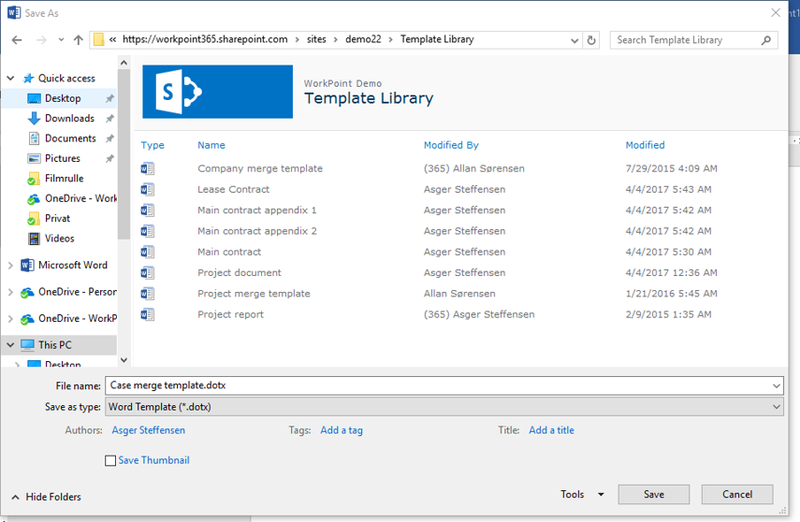 The template library opens in a new window/tab. Clicking the Word icon allows you to choose which module the template should be used in. The template will have mail merge fields from the module you choose, plus from modules sitting above that particular module in the WorkPoint365 module hierarchy. From this guide we will choose a Case template. In this solution the Case module sits below the company module which is the top level. 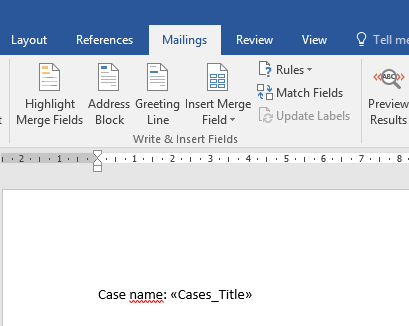 Clicking "Case" will open Word with a blank document. Now you will be able to choose which data fields to merge into the template by clicking the "Insert Merge Field" button. 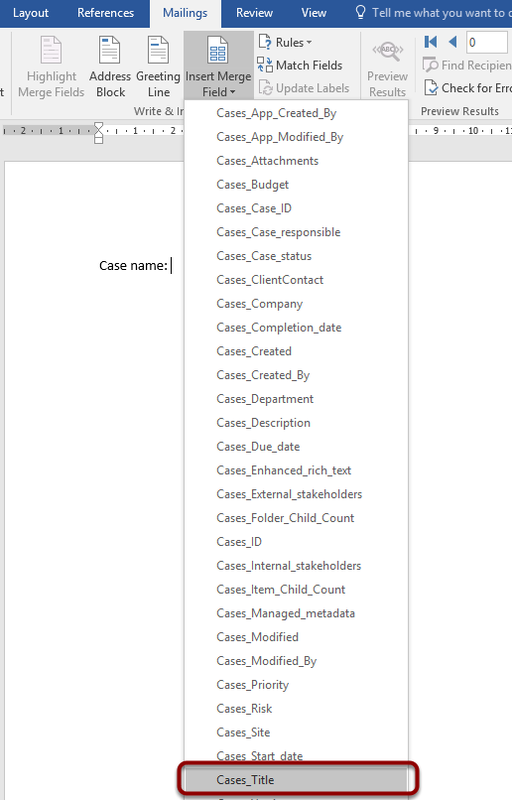 We pick the "Cases_Title" field. 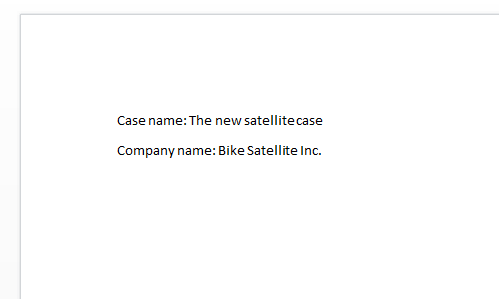 We add the text "Case name" to put a label to the field. The document will now look like this. We pick another field, this time we choose "Companies_Title". Close the document, click "Yes" in the "Save" dialogue and write a suitable name. To test the template, pick a suitable case and click the "Document" button. In the template, provide the document a name, then click "Choose alternative document template". 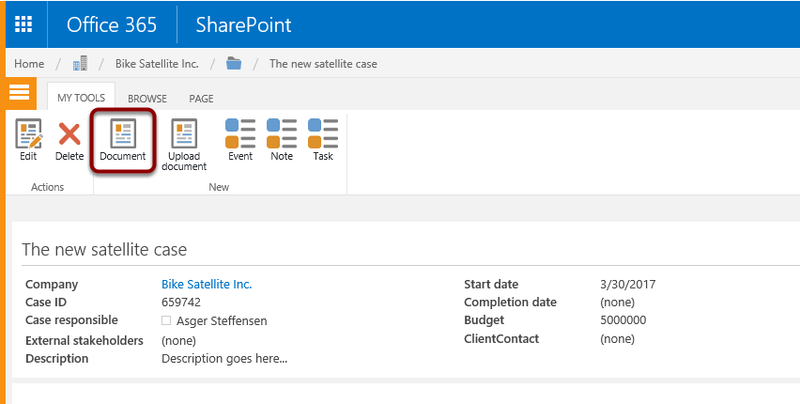 Note if you just click save, the system will pick the standard SharePoint template for the content type. Choose your new template and click on "Save". You can choose either of the save options, the new document will be saved in the document library on the case anyway.Open the document from the case. The result should look like below.